Sarah shares some finds from Edith’s Digitized image survey of the Bodleian Libraries’ many digitization projects and initiatives over the years. We’ve been digitizing our collections for a long time. And that means we have a lot of things, in a lot of places. Part of the Policy & Planning Fellow’s task is to find them, count them, and make sure we’re looking after them. That includes making decisions to combat the obsolescence of the hardware they are stored on, the software they rely on (this includes the website that has been designed to display them), and the files themselves so they do not become victim to bit rot. At Oxford, Edith has been hard at work searching, counting, emailing, navigating countless servers and tape managers, and writing up the image survey report. But while she has been hard at work, she has been sharing some of her best finds with the team and I thought it was time we share them with you. What? 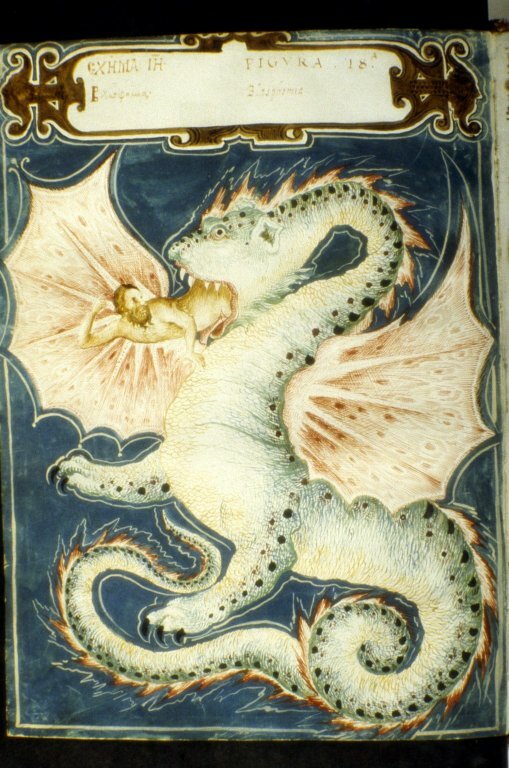 a large and apparently hungry dragon from Oracula, folio 021v (Shelfmark: Barocci 170) Found? On the ODL (Oxford Digital Library) site here. What? 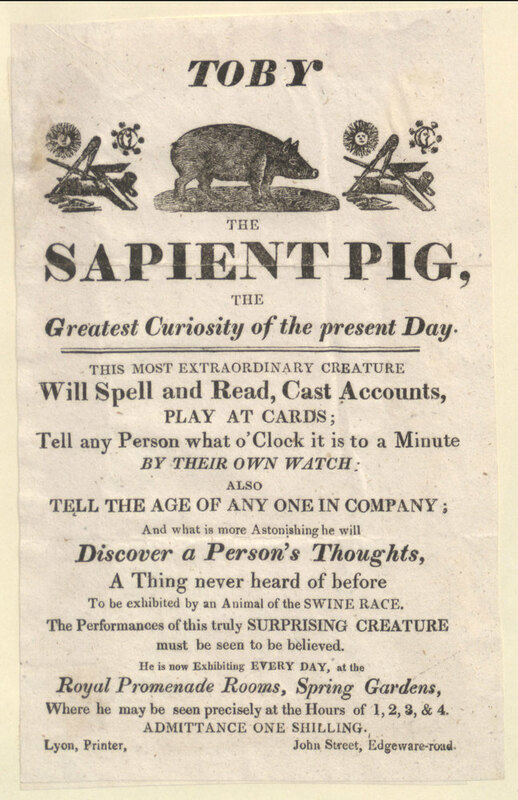 Toby the Sapient Pig. Found? 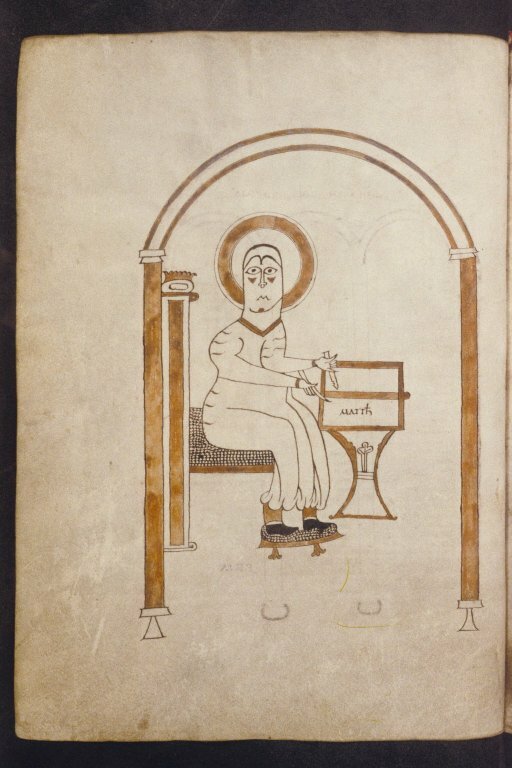 On the Bodleian Treasures website. Currently on display in the Treasures gallery at the Weston library and open to the public. The digital version is available 24/7. What? 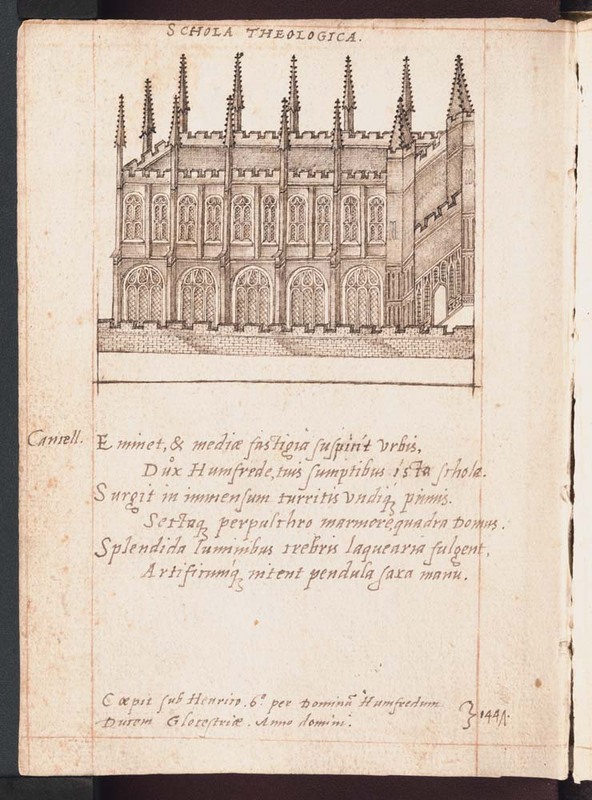 A very popular and beautiful early manuscript: an illustrated guide to Oxford University and its colleges, prepared for Queen Elizabeth I in 1566. This page is of the Bodleian Libraries’ Divinity School. Found? On the ODL (Oxford Digital Library) site here. What? 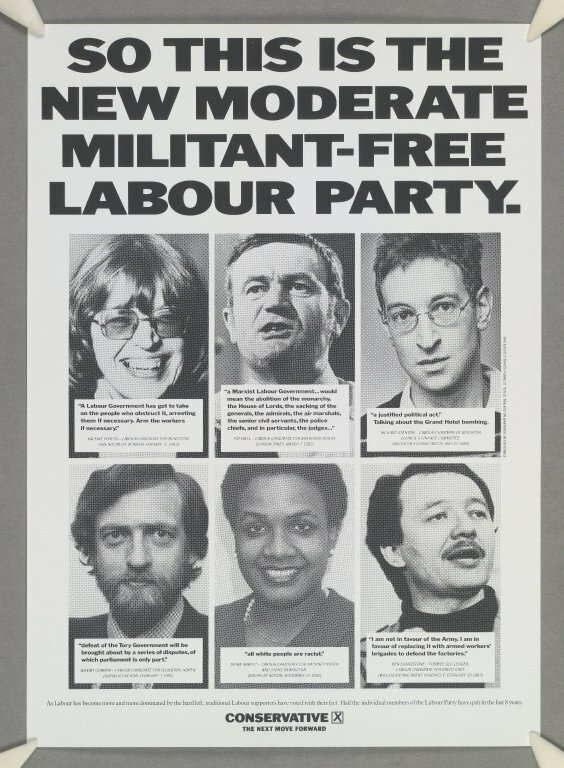 Corbyn in the early years (POSTER 1987-23). Found? Part of the CPA Poster Collection here. What? 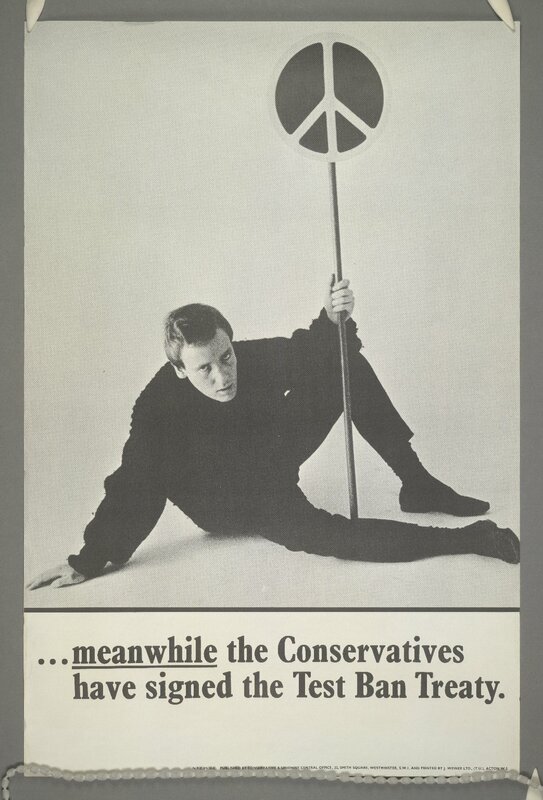 And this brilliant general election poster (POSTER 1963-04). Found? Part of the CPA Poster Collection here. What? 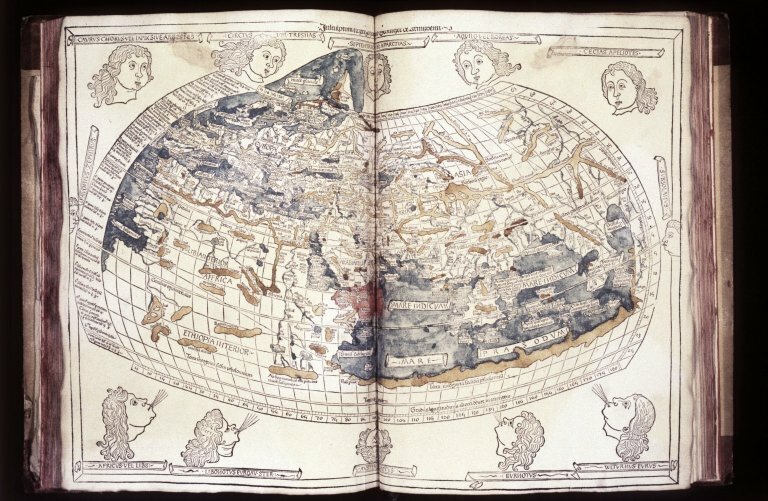 Cosmographia, 1482, a map of the known World (Auct. P 1.4). Found? In Medieval and Renaissance Manuscripts here. What? Gospels, folio 28v (Auct. D. 2.16). Found? Medieval and Renaissance Manuscripts here. There are just a few of the wonderful and weird finds in our rich and diverse collections. One thing is certain, digitized collections provide hours of discovery to anyone with a computer and Internet access. It is one of the most exciting things about digitization–access to almost anyone, anywhere. Of course providing access means preserving the digital images. Knowing what we have and where we have it, is one step to ensuring that they will be preserved for future access and discovery of the beautiful, the weird, and the wonderful. This entry was posted in digitisation, digitization, project update by Sarah. Bookmark the permalink.